When AC cars went into liquidation in 1930, the Hurlock brothers bought the factory for their trucking business and continued to service AC cars and trucks. When customers asked for a new model, the brothers saw a chance to clear the parts bin, and obtained a Standard chassis that was supposed to be exclusive to Williams Lyons at SS. A series of lightweight two-seaters followed and were quite successful. By 1950, however, the Hurlocks very much needed a new sports car. Jaguar had the XK 120 and MG had the T-Series, while Triumph’s TR2 and the Austin-Healey 100 were also not far off. The Hurlocks then discovered John Tojeiro’s space-frame aluminum barchetta, which was built for Cliff Davis and inspired by the Ferrari 166. AC proposed building a production version of the racer, and Tojeiro agreed to a deal. 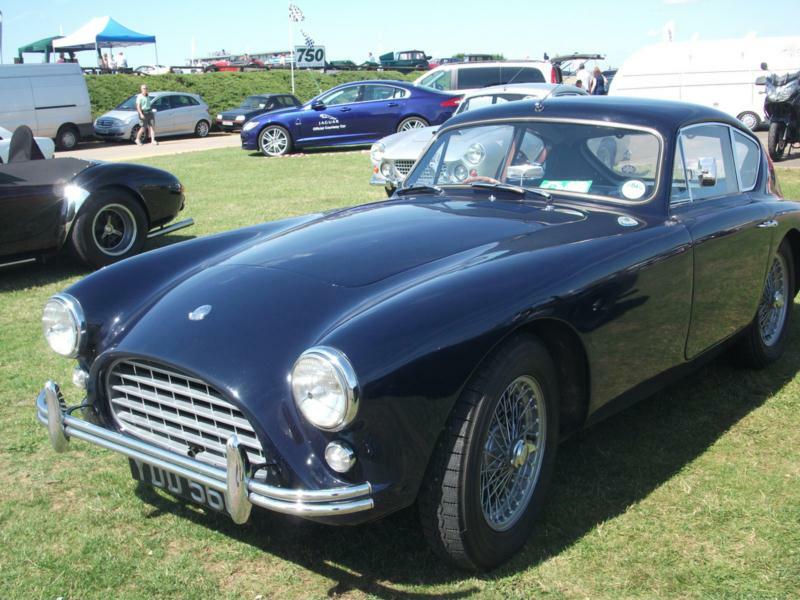 The car was launched at the 1953 Earls Court Motor Show powered by AC’s 2-liter OHC engine. It was an immediate success and 466 were built, but the AC engine that dated back to the end of the First World War was long past the end of its development potential and only produced 75 bhp. Salvation arrived with the Bristol-sourced 2-liter, OHV six-cylinder, which was basically the same unit from the BMW 328. Once installed in the Ace in 1956, this Ace-Bristol proved an immediate race winner on both sides of the Atlantic and enjoyed seven years of successful production, with 463 sold. After Bristol stopped producing their six-cylinder, AC was forced to look for other options. The quick choice was the 170 bhp Ruddspeed Ford Zephyr 2.6-liter 6-cylinder engine, which was available from 1961. Only 37 of those were built, however, before the Ace evolved into the Shelby Cobra, powered by the 264 bhp Ford 260 cubic inch V-8. Soon after the introduction of the Ace, AC began work on a closed version called the Aceca. This was a more comfortable and refined version of the Ace, but offered similar performance and was one of the best and prettiest GTs of its time. The tubular substructure of the Ace’s body was mostly kept, but the doors were much longer and squarer as well as timber-framed, and the roof was supported by a steel square tube frame. A fiberglass bulkhead also insulated the cabin from noise and heat, while rubber mountings on the differential reduced vibration. The interior was more luxurious as well, with full leather, Wilton carpets and varnished timber trim. The rear storage area was also fairly decent for a car of that size, and was accessible through a hinged panel like on an Aston DB2/4. The Aceca didn’t have the huge racing success (or the V-8-powered descendants) of its soft-top sibling, so they remain relatively obscure, and only a little over 300 were built. As the Ace became the Cobra, the power of the Ford V-8 required more and more improvements to the running gear. The Ace-Bristol, however, is the originating model, and with 125 bhp in its final tri-power D2 form, it remains competitive in historic racing. Based on a twin-tube ladder frame with four-speed and overdrive transmission, independent suspension by transverse leaf springs and disc-drum brakes, it handles and stops well and has a top speed of 125 mph. In race tune, the Bristol engine also makes an incredible sound. The Ford Zephyr motor offered more power, but was only available in England, so parts are harder to source.